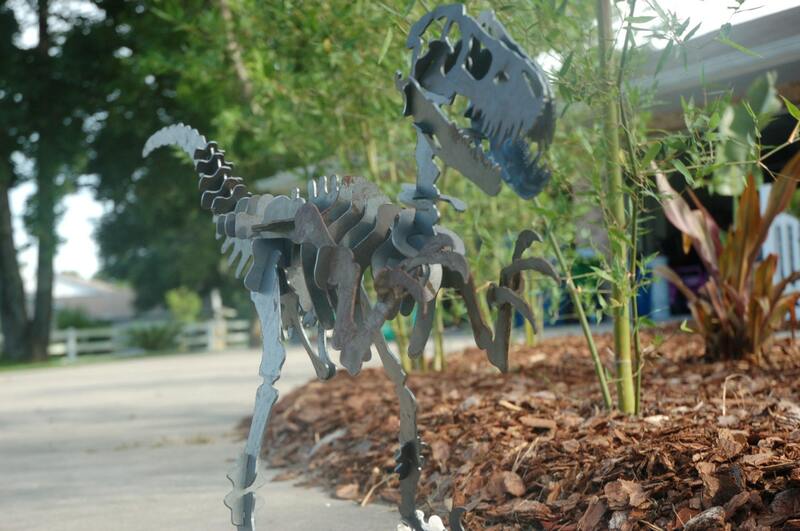 Aweseome piece of yard art, this dinosaur is made right here in Port Orange Florida from American made 3/16" steel. 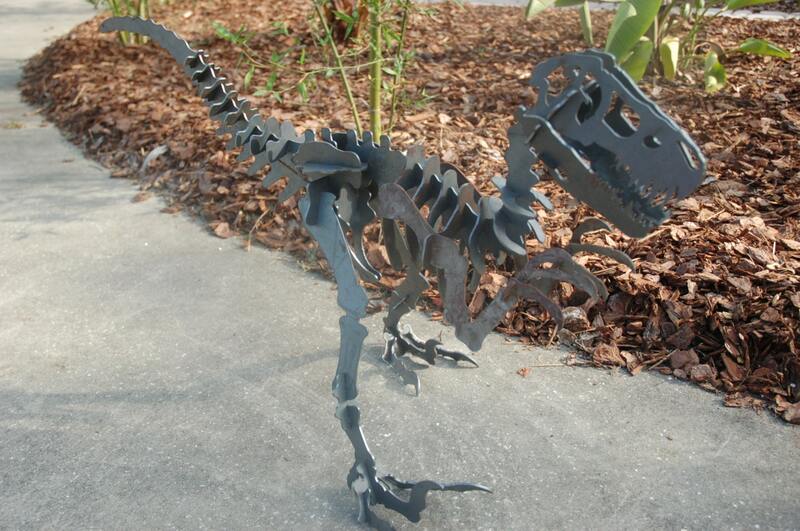 Standing approx 42" tall and 60" long, this is a cool piece. Ships partially assembled to aid in construction. 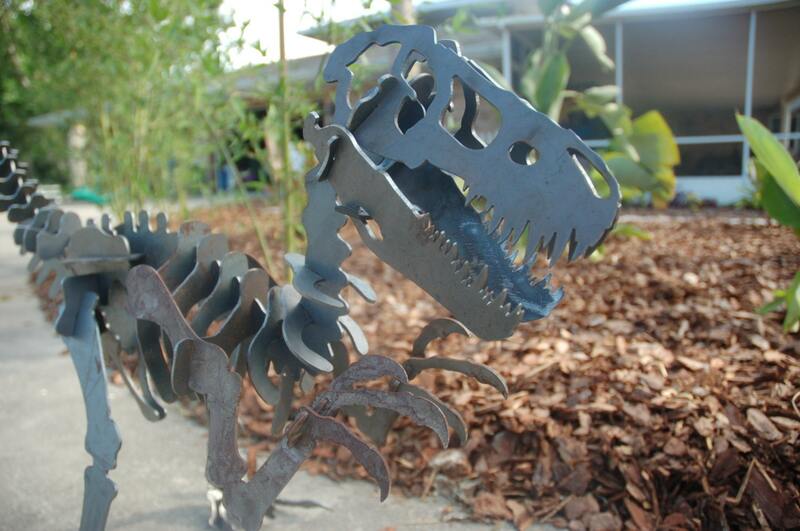 If you wish I can leave each piece un-welded, just specify when ordering. 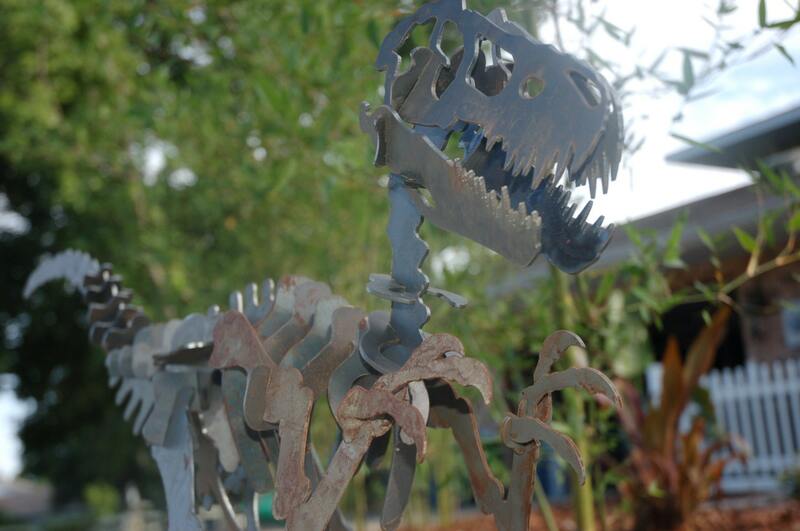 Oiled in raw steel, as shown this dino will slowly patina over time in the elements. Kept indoors it should retain the finish shown without issue....remember this is METAL and will oxidize/rust when exposed to humid environments over time. This one is 42" tall and approx 60" from nose to tail. Taller versions are available out of thicker material. 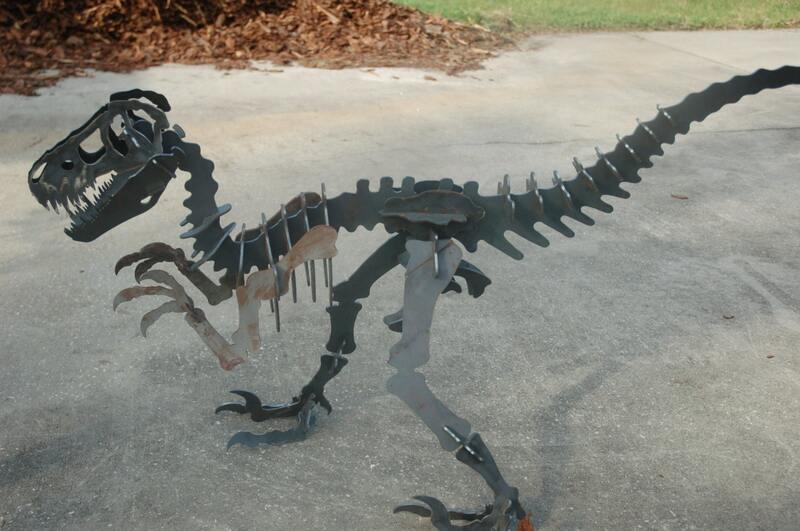 The largest one I can make is over 8' tall and would weight approx 600lbs in steel.